Longtime University of Maryland professor of materials science and engineering Ichiro Takeuchi recently joined the largest spintronic research center in the world. The Center for Spintronic Materials, Interfaces, and Novel Architectures (C-SPIN) opened its doors in January 2013 and currently coordinates the work of 32 professors (and over 100 graduate students and postdocs) from 18 universities. Headquartered at the University of Minnesota, C-SPIN’s goal is to overcome the limits of traditional computer design with spintronic technology. Basically, the Center is devising ways to use electron spin - rather than electron charge - as a way to encode and transmit zeros and ones, the foundation of all modern computers. Eventually, the Center hopes to construct a computer that doesn’t have to boot up, uses a fraction of the energy of a current computer, and operates faster than most computers today. Takeuchi will be making a variety of materials that form the basis for billions of transistors and other micro-computing devices. 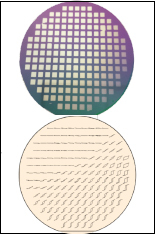 Because no one knows which materials will best support spintronic devices, a large number of different materials with varying thicknesses will be fabricated for extensive testing. C-SPIN currently has dozens of materials (and thicknesses) it wants tested, and Takeuchi expects new classes of materials to be regularly added to his “to-do” list. C-SPIN is one of six national Centers funded by the Semiconductor Research Corporation, a consortium of DARPA and sponsors from the computer industry. SRC creates and supports a number of collaborative research programs focused on pre-competitive computing technologies.